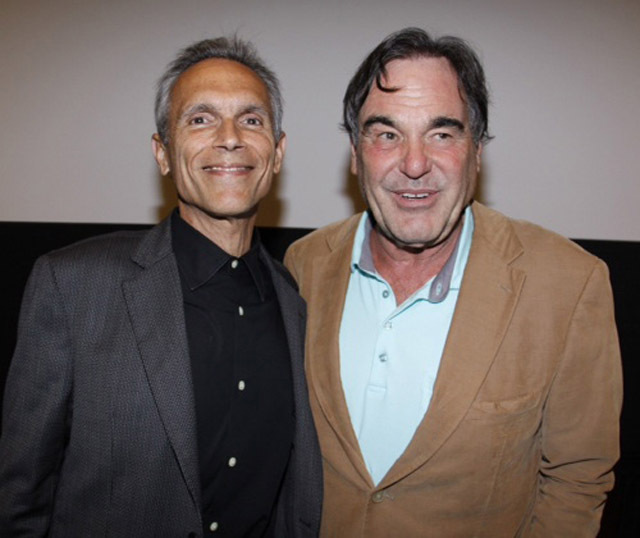 Oliver Stone needs no introduction at the School of Cinematic Arts. Few filmmakers have tackled controversial contemporary issues the way that world-renowned director, writer and producer Oliver Stone has done. With films like Platoon (1986)and Born on the Fourth of July (1989), On July 13th, the visionary filmmaker came to the School of Cinematic Arts to speak to students about his new film Savages. He discussed the process of adapting a beloved novel. Stone’s visit was part of the School of Cinematic Arts’ Summer Program. The Q and A was moderated by Michael Renov. Stone gave words of encouragement to students in the audience who are facing discouragement getting their careers started.